HAVE A DRINK. HAVE A BITE. REPEAT. 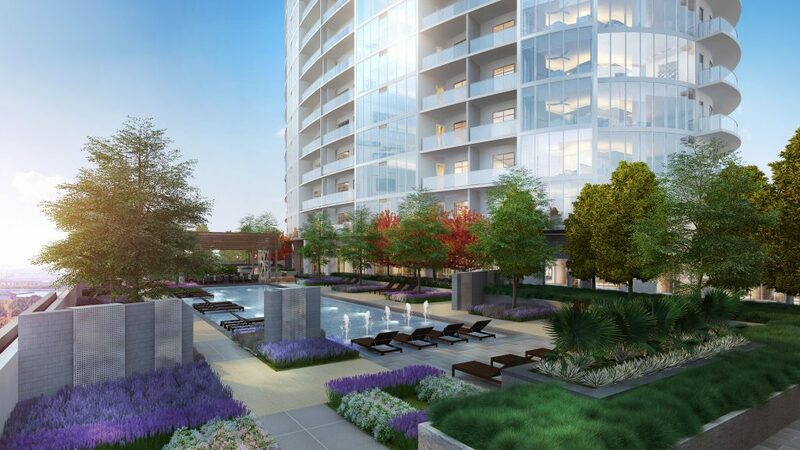 Local Profile of Collin County and LVL 29 luxury residential high-rise presents Legacy West Sip, Savor & Stroll, Thursday April 25. Join us for a self-guided stroll through Legacy West, sampling small bites and sips along the way. Legacy West Sip, Savor & Stroll is an elevated wine walk with sample sips and small bites at stops throughout Legacy West. Participants will be given a sip and small bite at restaurant stops 1-11, retails stops 12-16 will serve sips only. That's 16 drinks and 11 small bites. You may want to book an Uber. Sip, Savor & Stroll is a self-guided tour of Legacy West. At check-in, you will be given an event guide which includes an area map and a list of stops. You will be assigned a starting stop and that is where you will start your self-guided tour. From your starting stop you proceed through the stops numerically, looping back until you have visited all the stops. For example, you may be given stop #7 as your starting point. In this case, you proceed directly to stop #7 and from there you visit stops 8 through 12 and then loop back and visit stops 1 and 6. At each stop you will show your event guide and wrist band and you will be given a sample drink and/or a light bite. Your guide will be stamped at each stop. Check-in will be held at Neighborhood Goods where you will get your event guide and goody bag. You will also get your first sip and small bite provided by Prim & Proper, a collaborative restaurant concept developed by Neighborhood Goods and Front Burner Restaurants. Tickets are not available at check-in. Click here to buy now. Following check-in at Neighborhood Goods you will follow your event guide around the rest of the stops. Your last stop of the night will be at Whiskey Moon at the Renaissance Dallas at Plano Legacy West Hotel. Here you will enjoy your final bite and sip included as part of the event and have the opportunity to mix and mingle with other event participants. LVL 29 is a 29-story residential high-rise opening this summer at Legacy West. LVL 29 is located north of the junction between Headquarters and Communications Parkway, within walking distance of Legacy Hall, Haywire, and other shops and restaurants at Legacy West. Life is full of the unexpected, but we believe a few things should stay constant: elegance, splendor, and a touch of indulgence. Built with the finest features upon a supreme location, LVL 29 brings a new essence of bold refinement and unbeatable standards that promise to elevate your lifestyle. Stacked with beautiful and intelligent finishes, over 20 unique plans at LVL 29 range from 681 to 3588 square feet. Spanning 29 stories to the sky, the variety of superior apartment homes, townhomes, and penthouses ensure you'll match with the perfect space and view for your lifestyle. LVL 29 is located at 6000 Columbus Ave. Plano, TX 75024, in close proximity to Legacy West. A new type of department store, featuring an ever-changing landscape of the world’s most exciting brands, products, and concepts. More than that, Neighborhood Goods is a community, bringing thoughtful people together to shop, eat, and learn in our vibrant physical spaces, through our immersive editorial content, and more. Prim and Proper: Located inside Neighborhood Goods at Legacy West, it is a collaborative restaurant concept developed by Neighborhood Goods and Front Burner Restaurants. Featuring world-class coffee. Cocktails, wine, and beer. And food better than it has any right to be. Settle into luxury at Renaissance Dallas at Plano Legacy West Hotel. Our staff is ready to redefine your expectations of upscale travel in our perfectly situated Plano, Texas hotel located at the south end of the $3 billion Legacy West urban mixed-use project.